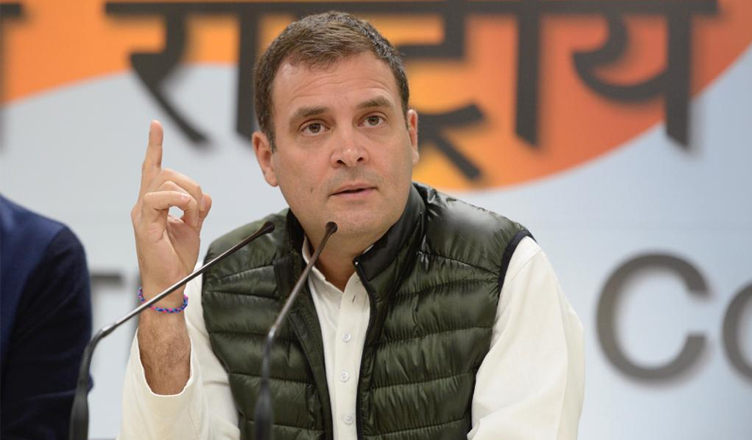 Soon after reports of entrepreneur Anil Ambani meeting French Defence officials days before the announcement of the Rafale deal, Congress president Rahul Gandhi accused Prime Minister Narendra Modi of breaching the Official Secrets Act, which is equal to committing treason. The Indian Express reported on Tuesday that Anil Ambani visited then French Defence Minister Jean-Yves Le Drian’s office in Paris, and that the meeting was also attended by Le Drian’s special advisor Jean-Claude Mallet; his industry advisor, Christophe Salomon; and his technical advisor for industrial affairs, Geoffrey Bouquot. The meeting took place in the fourth week of March 2015, which was about a fortnight before PM Modi announced the Rafale deal. It is also to be noted that Reliance Defence was incorporated on March 28, 2015, in the same week as this meeting. “An email has come into light that states, “A. Ambani visited the Minister’s office… Mentioned MoU in preparation & intention to sign during PM visit”. How is Anil Ambani meeting the French Defence Minister prior to PM’s visit? Defence Minister says he doesn’t know about the new deal, whereas Anil Ambani is sitting in the French Defence Minister’s office saying PM will sign an MoU with him involved. This is the breach of the Official Secrets Act,” Rahul Gandhi said while addressing a press conference. “At first it was a matter of corruption and procedure. Now this is a matter of Official Secrets Act. This is treason. Mr. Modi is under oath to protect secrets. He has given these secrets to Anil Ambani, who knew about the biggest defence deal in the world 10 days before. This itself is criminal. This itself will put the Prime Minister in jail,” Gandhi added. Bringing out the point of Anil Ambani incorporating his company in the same week as the meeting, Gandhi said that PM Modi is acting like Anil Ambani’s middleman. Gandhi also said that PM Modi was acting like Ambani’s spy and was leaking secrets to him. This revelation has given a strong backing to former French President Francois Hollande’s statement made in September last year, which said that it was the Indian Government that proposed the name of Anil Ambani’s Reliance Defence to be chosen as the offset partner of Dassault in the Rafale deal.